Hamas condemns Liberman for saying Israeli sniper who shot Arab demonstrator deserved a citation. Hamas on Tuesday strongly condemned Defense Minister Avigdor Liberman for saying that an Israeli sniper who shot at a demonstrator during clashes between IDF forces and Hamas marchers on the Gaza border last weekend deserved a citation. 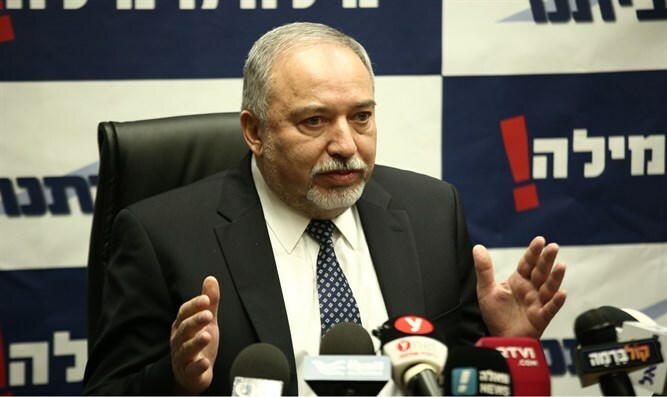 Hamas spokesman Fawzi Barhoum said that Liberman's remarks were tantamount to "legitimizing and formally recognizing responsibility for the crimes in which defenseless civilians were murdered." Barhoum added that the statement "reflects the extent of the terrorism to which the Palestinian people are subjected" and called for the leadership of the "occupation" to be put on trial in order to put an end to these "crimes." According to the Palestinian Arabs, 33 people have been killed by IDF fire and 3,000 were injured during the protest marches. They added that the processions will continue for many months, and that the confrontation with the "occupation" will continue and escalate until the "Palestinian people" realize its goals.